Below is a list of real-life Mountaineering Shows and Videos documenting what it’s like climbing the tallest mountains in the world. Some of the documentary’s include climbing Mount Everest, Mount Denali and Mount Rainier to name just a few. What’s fascinating about watching Mountaineering Shows is the amount of preparation required before climbers take the first step towards the summit. Organizing teams of people helping carry gear to higher camps along the way. Some of the Mountaineering videos below also cover the dark side of climbing the worlds tallest mountains. After months of organizing and preparing for a Mountaineering Expedition, some climbers will risk everything knowing it’s a once-in-a-lifetime opportunity to summit the mountain. Climbing Mount Everest with a Mountain on My Back: The Sherpa’s Story from Napal. Without the local Sherpa’s help, most people wouldn’t have a chance climbing the tallest mountain in the world. It takes an entire team of Sherpa’s for only a few climbers to summit Mount Everest. This Mountaineering Shows and expedition climbing a new route to the summit of Mount Denali (Mt. McKinley) up the West Rib Route. David Sharp’s tragic death in Green Boot’s Cave raises ethical questions in the high altitude mountain climbing community. How could so many climbers be determined to reach the summit of Mount Everest that they’d walk by a dying man? Climbing Mount Rainier is the most popular mountain to summit in the lower 48 States. 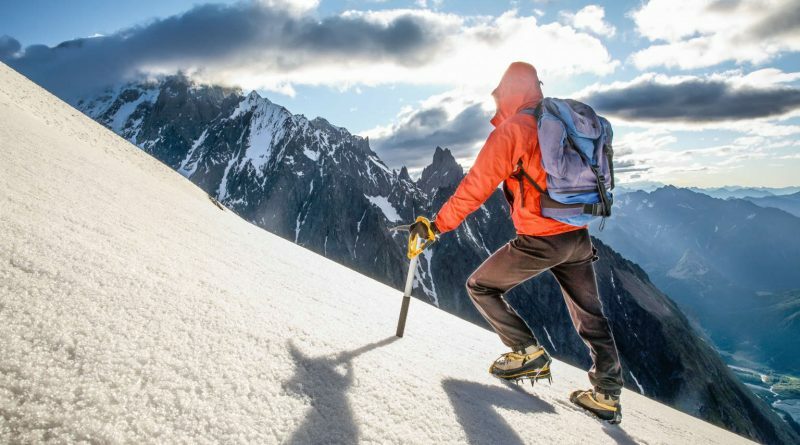 Over 10,000 climbers try to summit the mountain every year with a 50% success rate reaching the top. As you can see in the “Mount Rainier Climbing Documentary” this presents a challenge when too many climbers are on the same route. There is, however, over 60 established routes leading to the top of My. Rainier. Mount McKinley or Denali is the highest mountain peak in Alaska and all of North America, with an elevation of 20,321 feet above sea level. It’s the third highest peak in the world after Mount Everest and Aconcagua. The Dark Side Of Everest analyzes the 1996 Mountaineering tragedy, and also cover the past 50 years of mountaineering climbers who’ve climbed to the top of the world. If you want to climb where no ones climbed before then you’ll need to go to Antartica, one of the last unexplored places on Earth. The Last Unexplored Places On Earth Documents a new route to the highest mountain in Antarctica, Mt, Vinson standing over 14,400 ft above the sea. The Summit Movie is real-life footage from August 2008, when 25 climbers from several expeditions converged on high camp of K2, the final camp before the summit of the most dangerous mountain on earth. Just 48 hours later, 11 had been killed or simply vanished, making it the deadliest day in mountaineering history. In the mid-80’s two climbers attempted to reach the summit of Siula Grande in Peru; a feat that had previously been attempted but never achieved. With an extra man looking after base camp, Simon and Joe set off to scale the mount in one long push over several days. The peak is reached, however on the descent Joe falls and breaks his leg. Despite what it means, the two continue with Simon letting Joe out on a rope for 300 meters, then descending to join him and so on. However when Joe goes out over an overhang with no way of climbing back up, Simon makes the decision to cut the rope. Joe falls into a crevasse and Simon, assuming him dead, continues back down. Joe however survives the fall while hitting a ledge inside the crevasse. This is the true story how Joe survived to tell about this amazing journey (miracle) on Siula Grande.